I started taking Lamberts FOS prebiotic a week ago. So far it has given me nothing more than a lot of wind, some diarrhoea and a general feeling that my gut isn’t enjoying this much! I am on the 5g dose. Is anyone else using this? I’m taking it to firstly help my sleep and secondly to help my gut. That sounds like a classic FODMAP response to me. FODMAPs are a range of naturally occurring sugars that some people cannot digest. They include fructose and oligosaccharides, which sounds like your supplement. I am particularly sensitive to polyols, the group mostly used in sugar free products, eg mannitol, sorbitol, erythritol, xylitol. They also occur naturally in stone fruit, and most people can’t digest them, hence loose stools. They go STRAIGHT through me: my system can’t get rid of them fast enough. Unfortunately, I am also sensitive to the sugars that end in ” -in”, like inulin, which might be a very effective prebiotic for most people, but does me more harm than good. Fructose and fructans give me really foul smelling flatulence and very loose stools. I recommend you do some web searches to find out more (Monash University in Australia has developed some great resources), and find an allergist or gut specialist to get some tests done. I didn’t even need to do breath tests – elimination and reintroduction of foods gave me very clear results. Unfortunately, if you are FODMAP sensitive this cuts out most fruits except some berries, citrus and pineapple in my case, and also a surprising range of vegetables including those other handy prebiotics, onions and leeks, as well as mushrooms, peas and asparagus. Hi Fenton: it depends on the rest of your diet/lifestyle. 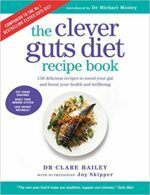 The recommendation in the clever guts book for pre-biotic to aid sleep was potato starch I think. One thing I would say is “start low/go slow” .. If your gut is not used to pre-biotics it will take a while for it (and the microbiota) to adjust. Suggest halve the dose. Try that for 14 days. If all good then can increase. Maybe rebalance your microbiota with some fermented foods as well or instead?